Is your iCloud calendar not syncing with Outlook? This can be a big problem on any PC, and in today’s article, we’re going to tackle this issue and show you how to fix it once and for all. 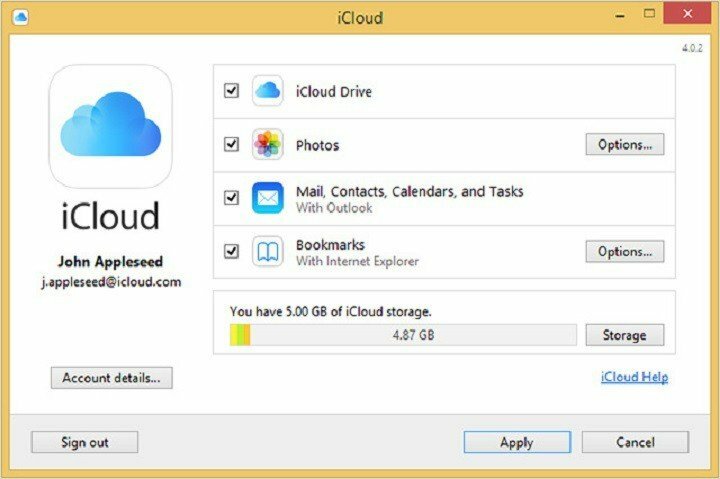 Apple’s iCloud is cloud storage that you can save your files to with iOS, Mac OS X and Windows devices. That also has a Calendar app which syncs with multiple devices. Windows 10 users can edit and update iCloud Calendar with Outlook. Any changes made to the calendar sync with Outlook. However, the Calendar doesn’t always sync with Outlook (especially after upgrading to Win 10); and this is how you can fix Outlook and iCloud synchronization in Windows 10. The first thing to check is if there are any known issues having an impact on iCloud. Apple has a handy page that shows you the iCloud system status. Click here to open the System Status page in the snapshot directly below. This shows you if iCloud is currently down or not. If Calendar is down, that’s probably why it isn’t syncing. Some Windows users have fixed Outlook synchronization by logging out and signing back in to iCloud accounts, so this fix might just do the trick. First, close Outlook if that application is open. Open the iCloud for Windows software. Next, press the Sign out button to log out. Select Delete from computer when prompted to keep a copy of your iCloud calendar and contacts. Wait a few minutes and then sign in to iCloud again. Select the Mail, Contacts, Calendars and Tasks option on the iCloud window to synchronize the Calendar. After doing that, check if the problem with the iCloud calendar is still there. It’s important that you’re using the most update iCloud for Windows software. For starters, older versions aren’t entirely compatible with Windows 10. Secondly, only iCloud versions from 5.1 support Outlook 2016. So if you’re using a more antiquated version of the software, that might be why the Calendar isn’t syncing. To update iCloud for Windows, you could uninstall it via Programs and Features. Then press the Download button on this page to save the latest version’s setup wizard to Windows. Run through the iCloud setup wizard to add the software to Windows. Alternatively, you can update iCloud with the Apple Software Update app. You can open that by pressing the Cortana button and entering Apple in the search box. 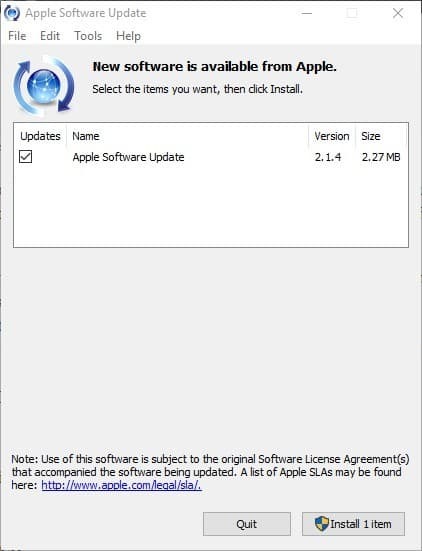 Select Apple Software Update to open the window below. If the Apple Software Update app lists iCloud for Windows on its window, select that check box. Then you can click Install 1 item to update iCloud for Windows. Outlook has various switches you can open the software with. One of those is /resetnavpane that resets and regenerates the navigation pane in Outlook. This is another potential fix for iCloud Calendar synchronization that you can apply as follows. Close Outlook if it’s currently open. Press the Win key + R to open Run. 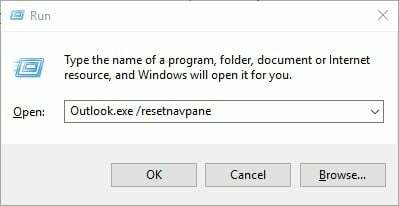 Enter Outlook.exe /resetnavpane in the text box, and press the OK button on Run’s window. A registry edit might also fix the synchronization. An iCloud-Outlook Add-in, which transfers content, might not be loading with Outlook. You can fix that by setting up a new Outlook profile and enabling the iCloud Add-in. First, open the Mail applet by entering Mail in Cortana’s search box. Or you can enter ‘Mail’ in the Control Panel’s search box. Select to open the Mail Setup applet. Press the Show Profiles button and click Add. Then you can type a title in the Profile Name text box, and press the OK button. 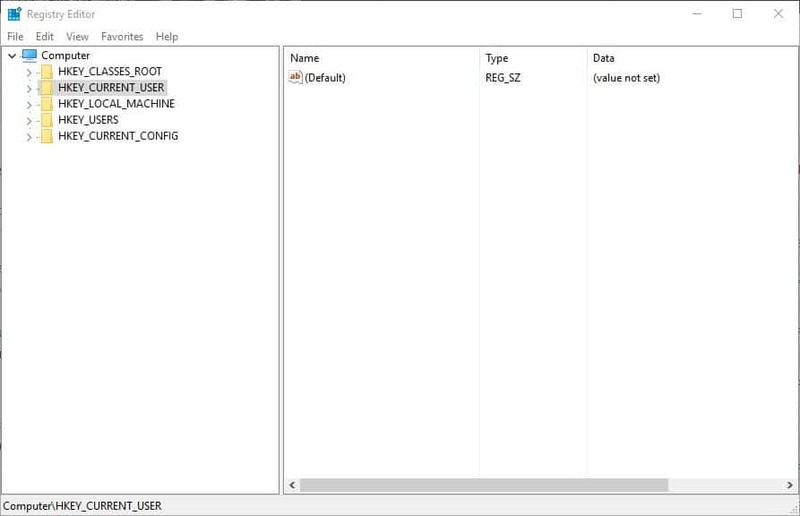 Now open the Registry Editor by pressing the Win key + R. Enter regedit in Run, and press OK to open the window below. Next, navigate to HKEY_CURRENT_USER/SOFTWARE/MICROSOFT/OFFICE/OUTLOOK/ADDINS – Apple.DAV.Addin in the Registry Editor. Double-click LoadBehaviour on the right of the window. Enter ‘3’ in the Data value text box if it’s currently at 0. Data syncing between devices doesn’t work if iCloud is configured as the default account in Data Files. You can check that in Outlook by clicking File, Info, Account Settings and then selecting Data Files. Now you can see if iCloud is the default Comments column account. If that’s the case, select an alternative account as the default one. Select Set as Default to adjust the default account settings. Then restart the Windows 10 OS. Those are a few effective fixes for iCloud Calendar synchronization issues. This Windows Report article also provides further tips for fixing iCloud for Windows.